With the holiday season rapidly approaching, stress levels are likely to increase as schedules can get busier, money can get tighter, and relationships can be tested. When stress and anxiety increase, individuals begin looking for effective ways to reduce or control it. For many individuals this can be an activity such as yoga, meditation, or exercise. Perhaps you have already found the techniques that work best for you, but consider for a moment something that might seem a bit out of the ordinary – coloring. Though the activity itself is nothing new, the percentage of adults that are utilizing this activity as a stress reducer has skyrocketed in the past year. Products labeled “adult coloring books” are available in most bookstores and are growing in popularity with each passing day. Adults who, a year ago, would have scoffed at the idea of coloring, are now buying these books and boxes of colored pencils in bulk. Why has there been the sudden draw for adults to engage in what many would consider a childish activity and are there really benefits to it? American society is fast-paced, pressured, and full of stress. The National Institute of Mental Health claims that over 40 million adults nationwide suffer from an anxiety related disorder; the number is higher when considering all of the individuals who do not seek professional help. Regardless of whether you would meet the criteria for one of these disorders, everyone battles stress and anxiety to some degree. While it has just recently become a mainstream activity, coloring has been around for decades to help with anxiety. Psychiatrist and the founder of Analytical Psychology, Carl Jung, prescribed this activity for his patients in the early 1900’s to help relieve anxiety. Jung recognized the benefits of this activity and those still hold true today. One of the greatest benefits of any relaxation technique is that it can redirect negative or stressful thought processes to something more positive or peaceful. When anxiety rises, the fear center of the brain is activated (the amygdala), our fight or flight response can kick in, and stress hormones like cortisol can increase too. With a heightened sense of anxiety and adrenaline it can be crucial to find effective ways to slow down our thought processes and regulate the feelings associated with stress and anxiety. Coloring not only provides a peaceful activity to allow individuals an opportunity to slow down, but it also engages a different part of the brain, giving the amygdala the chance to essentially “take a break.” After just a few minutes of coloring individuals notice that their stress hormones decrease, the fight or flight response is reduced, and their overall sense of anxiety has lessened significantly. Even though some may question the effectiveness of coloring or may still view it as an activity reserved for children, it’s important to decide for yourself. Not every relaxation technique or coping skill is going to be effective for everyone, but maybe this is one worth trying. It’s simple, cost effective, and fun! Are you still skeptical? Here is my challenge for you. In the next couple of weeks purchase an adult coloring book online or at a local bookstore or print some copies from the internet for a cheaper alternative. 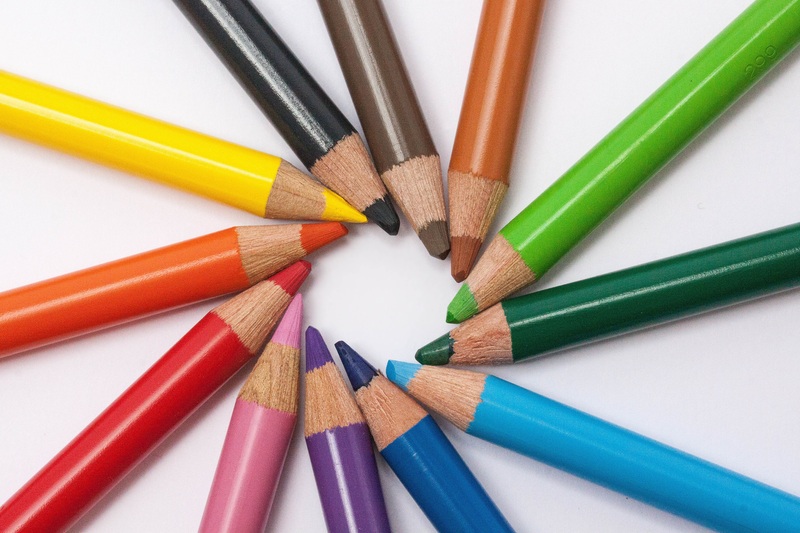 Get yourself a box of crayons, markers, or colored pencils and set aside a few minutes each day to color. Maybe turn on some soft music in the background (perhaps Christmas music?!) and allow yourself to slow down and see what happens. The more often you utilize the activity, the more natural it becomes and it might very quickly turn into your favorite way to de-stress!